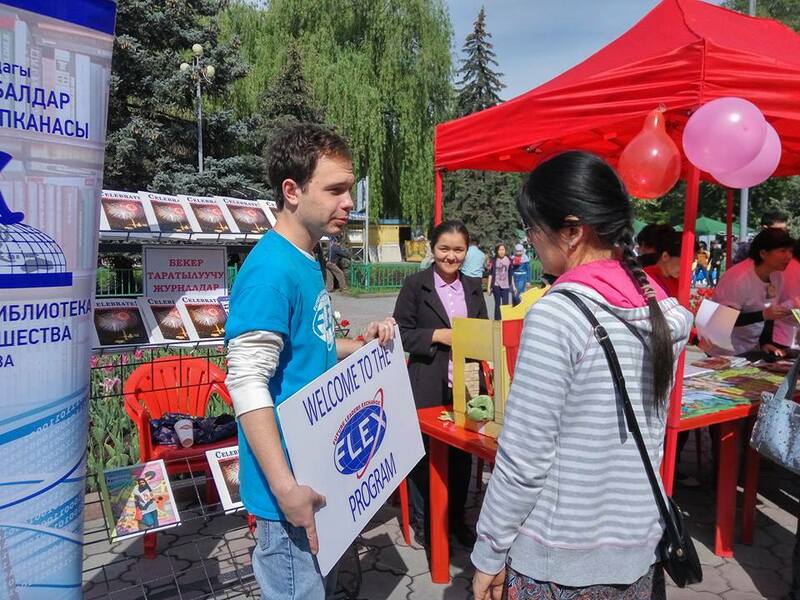 From April 22 to May 15 Altynai Klimova ’14 together with Aizhan Zhumagulova ’13 and Pavel Andreev ’15 implemented a project titled ‘Book Is Life’ promoting the importance of extracurricular reading and volunteering. 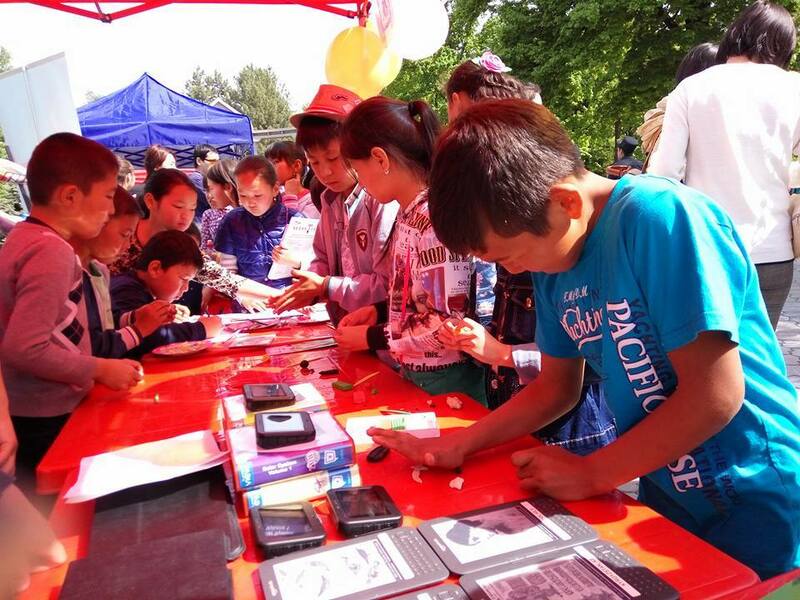 It consisted of different events which took place in Karakol, Balykchy and Bishkek, Kyrgyzstan. 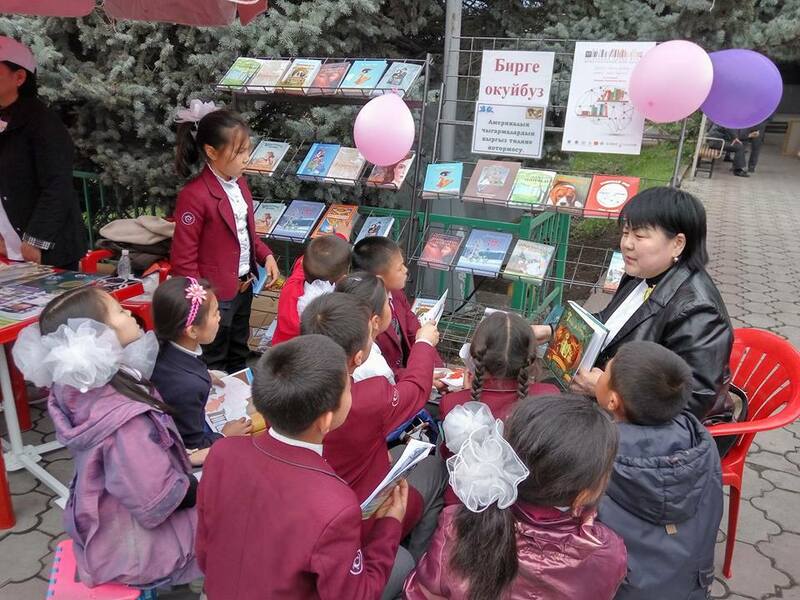 Throughout the project the FLEX alumni collected books which were later donated to a free library in the Kyrgyz Economic University and a new community library in Balykchy. 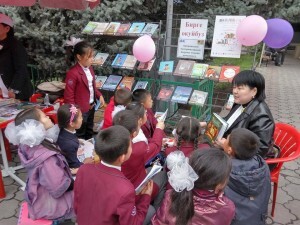 The project started off by celebrating the International Day of the Book in the Bayalinov Library for Children and Young People in Bishkek. 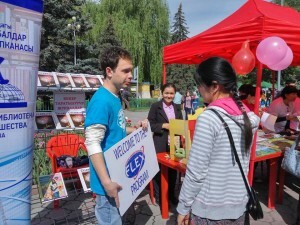 There the FLEX alumni hosted a range of activities for the local community. 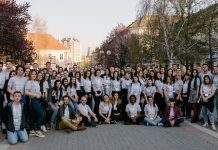 Some of the highlights included a poetry workshop given by a poet Ardak Chapaev and presentations made by a children’s writer K. Soorbekova and a Peace Corps volunteer Alex Simmons. 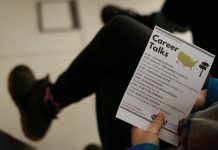 During the day the students also took part in a book quiz and a poetry reading competition and had pizza. In Balykchy the FLEX alumni visited a local orphanage and made postcards for the WW2 veterans together with children. 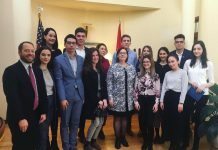 In Karakol the FLEX alumni made a presentation about the history of WW2 and promoted the values of peace and friendship among primary school students studying in the school № 3. They also visited the Irada orphanage house where they organized fun activities and read books to the orphanage residents. 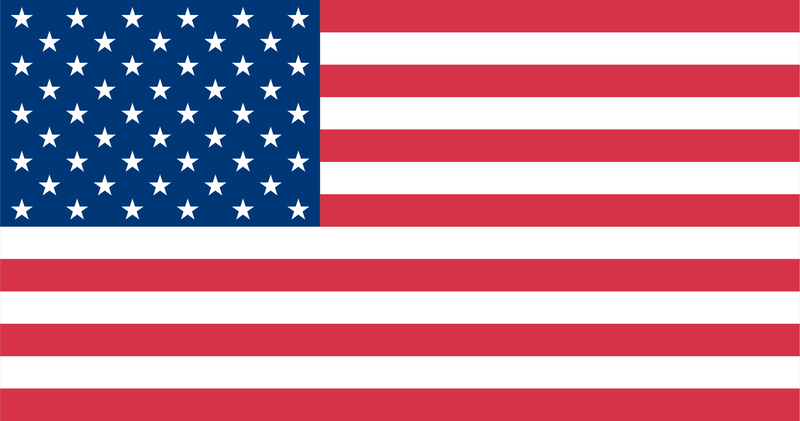 The project was covered on social and national media (among other GYSD projects).